It is hard to plan a well-optimized route and ensure timely deliveries if you plan routes on pen and paper. Yet, many still don’t realize the truth about manual planning. Instead, they put all their efforts into making a perfect plan for the next day or week. And they waste invaluable productive hours in planning a route that simply won’t work. But, how can you ensure a 100% accurate route? What do you need to do to ensure you plan effective, well-optimized routes today? 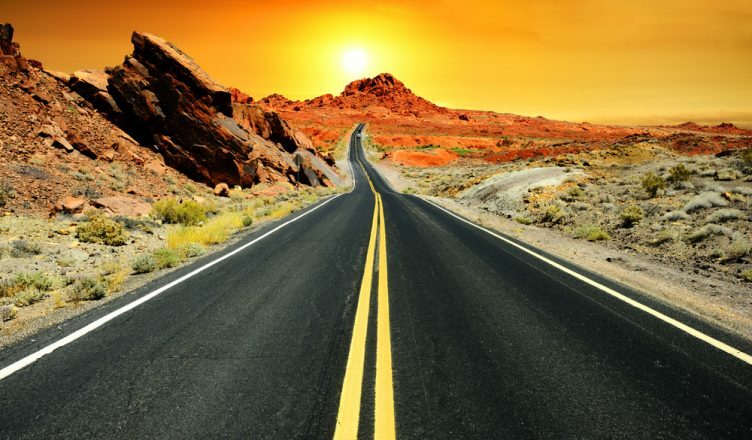 The definite answer is vehicle route planning software. Yes, we are emphasizing on it as “definite”. By reading about its benefits, you’ll wonder why you haven’t used it before. So, read on and learn more! How long does it take you to plan a route? One hour, two hours, three hours or longer? Now, what if you needed to plan routes for multiple drivers and deliveries? Won’t the planning time shoot up based on the numbers? Well… manual route planning requires you to invest significant time. You need to analyze, plan and then explain the routes to the drivers. Even Google Maps cannot help you here as it requires you to key in every address manually. Without doing this, you cannot plan the accurate distance of your drivers’ routes. So, it is quite evident that it takes time to perform all these activities. But, what if we tell you that you could plan routes within minutes? And, moreover, it won’t matter how many vehicles or routes you need to plan for. In fact, the vehicle route planning and optimization can be done in as little as 30 seconds! Just imagine how many hours you’ll save! But, more importantly, how many other important tasks can you do in the hours saved? You can get to errands that you were unable to find time for earlier. This is made possible with routing optimization software which automates the route planning process. It thus takes much less time than manual planning. 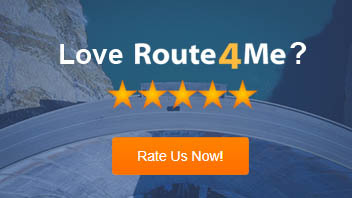 Moreover, such software provides 100% accurate and optimized routes. This is not possible when you plan routes with pen and paper. This would ensure that the drivers don’t get terrible routes. So, they won’t need to call up the main office frequently to ask for directions or more details. It would save time, increase job satisfaction and ultimately improve productivity. So, you won’t need to worry about timely deliveries and customer satisfaction. Also, route optimization software can increase your earnings! This is because the drivers can cover more routes in the same time as before with better routes. And, covering more routes simply means more earnings. So, can you afford not to use planning and routing software? You might get an urgent request from any customer at any time. And, if you can live up to their expectations, they’ll most likely find you credible. They will thus use your services for all their courier needs. This would establish a long-term relationship which is an important criterion for success. However, if you plan routes manually, this is impossible. If your drivers are already on the road, how can you handle the urgent request? After all, manual planning is static. So, once the routes are planned, there’sups no room to tweak your plan as per your real-time needs. But, this is not a problem with fleet route planning software. Such software helps you dynamically optimize routes. So, it helps you identify which driver is available and near to the customer’s location. And, you can then assign the driver accordingly. It can also help you handle same-day deliveries easily. You just need to add the destination to the software and it’ll automatically assign a driver. And, when any changes are made on your computer, it syncs on the driver’s smartphone app. So, you don’t need to call them up or share the changes with them manually. This is safer for the drivers as they don’t need to answer their phone on the road. So, a vehicle route planning software ensures easy management of urgent deliveries and driver safety. It also saves you time. You’ll agree that it is extremely difficult to make turns on a crowded road. For example, in a crowded area downtown, it’s difficult to make U-turns. Yet, the driver might have to make such a turn if the building is on the opposite side of the road. And, if they can’t make a U-turn, they might need to travel to another route. This might take a couple of minutes longer to reach the destination. Also, it would mean additional fuel expenses. But, a dynamic route scheduling software simplifies this problem easily. It comes with an “Avoid U-turn” feature. This enables you to plan routes that won’t factor in any routes that require such turns. It also comes with an “Avoid left turn” feature. This can save you a great amount of time and money. Making a left turn means that the driver must wait longer in traffic. This will lead to time and fuel wastage. It can also lead to serious road mishaps. And, the more left turns a driver has to make, the more fuel and time will be wasted. So, it’s no surprise that UPS saves 98 million minutes of idle time each year. How does UPS route its trucks? It does so simply by avoiding left turns. You can enable the feature while planning routes. It will then automatically plan optimized routes that exclude left turns. It’s that easy. Can you imagine doing that with manual planning? Do you know how long your drivers take to check in and out at each customer location manually? Does it take 10, 20 or 30 seconds? Well… that might look like a negligible figure. But, if you add up the time per stop, the picture will look completely different. The following example will illustrate this best. Your drivers take a minimum 10 seconds to check in and another 10 seconds to check out. That means 20 seconds are wasted per stop. If each driver makes 50 stops, it is almost 18 minutes that are wasted per day. If they work 22 days a week, each driver wastes over 6.5 hours every month just for such tasks. Then you also need to multiply that number by the amount of drivers you have. If you have 10 drivers, it is around 65 hours that are wasted every month! Moreover, these numbers might be even greater as we just took the minimal figures. Your drivers might take 20 seconds each for check-ins and checkouts. That would mean almost double the time is wasted in such a case. But, this won’t be a matter of concern for you if you go for vehicle route planning software. That is because such software comes with geofencing technology to counter the problem. Specify the amount of time it takes to trigger the automatic check-in. They can even specify the time in seconds or as a percentage of the service time per location. When a driver reaches a destination, the system checks them in automatically. The same concept goes with checkouts as well. This is also a great feature to track whether drivers are deviating from the assigned route. In this way, routing software helps you save time per driver. And, how much you save depends on how many drivers and locations you need to cover. So, you’ll get the same productivity as you would normally get without additional expenses. It is thus evident that it is critically important for you to opt for such software! One of the biggest problems for courier drivers is where exactly to drop off packages. This is especially true when delivering to large institutions, such as hospitals. They have several entrances and it’s difficult to know which one is for deliveries. For example, Google Maps will only show you one entrance. Yet, it could be the wrong one for courier drivers to use. Ideally, only the main entrance is shown. However, a hospital’s main entrance is for visitors and patients. It’s not for package pickups or deliveries. The right entrance for them could be at the back or side of the hospital. But, if your drivers don’t know in advance, they might need to circle around. That causes both time and fuel wastage and it isn’t a good sign for your business. Yet, you can nullify this problem easily with a vehicle route planning software. You can mark the right entrance in the software. So, the next time you plan a route, the software will ensure the driver doesn’t waste time again. Moreover, with planning and routing software, you can always save the location or destinations visited. You can even set specific drop-off points. It helps you plan routes before the drivers hit the road. It has a GPS tracking feature that helps you track what your drivers are doing in real time. It helps you plan routes at the very last minute. You can plan routes from your mobile device. It helps you plan routes for real roads. You can add constraints, such as vehicle capacities and time windows, to your routes. It helps you visualize your customers on an interactive map. It helps you inform a customer of the expected time of arrival of the driver. It eliminates the need for expensive GPS devices. This is because everything can be accessed from the software’s mobile app. So, fleet routing software comes with plenty of benefits that can transform the route planning process. However, it’s important to note that not all providers offer all these features. A few could even charge additional fees. You thus have to analyze the services offered carefully before subscribing to software. The following is a related article that will help you select the right tool. Remember, at the end of the day, there are a lot of small things that add up. You might forget to track these or are even unaware of them. Yet, routing optimization software shows you where you’re lacking and need to improve. It does so with data-driven facts in the form of reporting and analytics. And the software does this in addition to helping you plan routes accurately. So, how do you plan your routes currently? Have you explored any vehicle route planning software before?